the industry. Since this is the show where many vendors unveil new versions of their platforms and solutions, there is a palpable sense of anticipation and excitement. Artificial Intelligence was a featured topic this year. Many people talked about trying to make sense of all the different options. That’s why it’s important to have a partnership with an agency that can help you sort through the buzz and identify the value of the product and how it meets your specific recruitment needs. 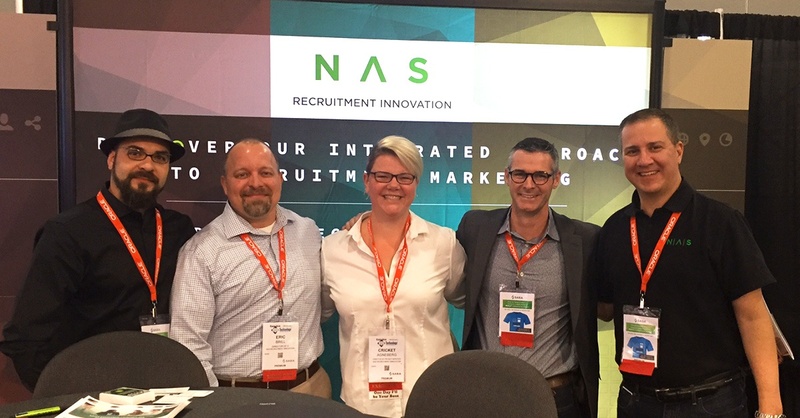 Lucian, Eric, Cricket, Matt and Jason are rocking booth #1438 at HR Tech in Las Vegas. We’re meeting great people and learning a lot. Stop by to chat and enter our drawing if you’re at the show.